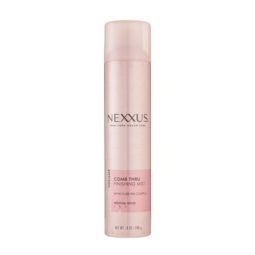 This ultra fine-misting hairstyle finishing spray product provides fast-drying, humidity-resistant and flexible holder that never leaves your hair feeling stiff or sticky. 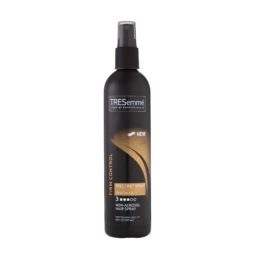 TRESemmé Two Ultra Fine Mist Hairspray offers strong staying power that goes on hair dry and never weighs your hair down. Ultra Fine Mist Hairspray helps you hold the salon-fabulous look all day long while its water-free formula resists frizz for 24 hours.